Why Environment Plays a Second Fiddle in Development? – Is an Answer in the Offing? This has been a question for which I have found multiple answers over the past three decades but majority of them are not convincing, merely going by the attention environmental dimension of development received thus far. With more than 500 environment-related multilateral environmental agreements (MEAs) at global and regional levels and about 150 plus of them related to ecosystems and biodiversity, intent to deal with the environmental dimension is paramount but actions are not adding up to show visible impacts. Unlike the social and economic dimension of development where the discourse is focused and laced with strong political support, the environmental dimension of development is weak, muted and focuses on small, sectoral issues such as beating pollution, dealing with climate change, reducing biodiversity loss, reversing land degradation and the like. There is nothing that binds them all together. This fragmentation and surge of focus on specifics is not helping environment management its due! One another issue that baffles me even today, being a non-lawyer, is the treatment of environment as ‘soft law’ by legal experts and the judiciary. I am yet to receive an answer as to why environmental law is considered soft law. This approach and treatment is causing more harm to environment since compliance is falling through the cracks. While there may be a plethora of answers to addressing the issue of how to make environment as truly one of the three dimensions to sustainable development, a ray of hope emerged from the United Nations General Assembly resolution on 10th May 2018 that called for a negotiated global instrument (pact) on environment! A Working Group that has been established by the United Nations to identify the gaps in international environmental law and come up with an international instrument to be adopted during the first half of 2019. 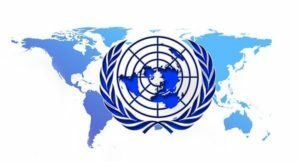 While several UN agencies, including the United Nations Environment, international and national organizations have welcomed this move, it is to be seen on how the negotiations will unfold to come up with a draft text for the instrument and its subsequent adoption. The Environment Commission of the Club des Juristes, a legal think tank in France is behind the idea of having a global pact and has in fact covered some ground, including drafting elements of such a framework pact. Having been focusing on synergies among the key biodiversity related conventions/treaties for the past several years, as a part of United Nations Environment and otherwise, I have some first-hand experience on the discussions, politics and challenges to fostering synergies among the conventions. Mind you, we were discussing synergies among just seven key biodiversity related conventions. With this, the following can be foreseen as key challenges to negotiate the global pact on environment. First, the timeline set for the process is too short and too ambitious. With the nature of the issue before hand, consolidating and combining large number of environmental issues into one instrument will pose a serious challenge to negotiate the text, especially if the intent is to have clear ownership from the member states and it must be binding on member states. Second, the current and upcoming discussions on global environmental issues range from those under the auspice of the United Nations (for example, the negotiations for a global agreement on ocean governance) to those under international non-governmental organizations (for example, the Ramsar Convention on Wetlands of International Importance). Having one global pact that binds and covers all these needs much larger engagement of institutions and individual mandates, including compliance mechanisms. This will be a daunting task for implementing the pact, once adopted. Third, several of the current environmental agreements and treaties are managed by several institutions and groups within institutions at national level. Each one of them guard their mandates and territories very closely. Case in point is the resistance to discuss several key biodiversity related issues within the negotiations under the climate change agreement. This will pose the biggest challenge for negotiating the pact. Fourth, the political support needed to negotiate the pact and implement the same need to come from highest level and not just from the Ministries of Environment at national level, given the focus of the pact. This means, the engagement of high level political is a must for the pact to see the light of the day. Lastly, implementation arrangements to realise the goal and objective of the pact must be at the forefront of negotiations. In the absence of this, the pact will merely be a ‘feel good’ factor for countries. Given the current global and national architecture of environmental rule making, compliance and implementation, it is critical for consolidating the mandates of sectoral issues first. For example, all biodiversity related conventions and agreements should be brought together – programmatically first – to support the pact. One opportunity that is handy in this situation is the emerging discussions to develop a new global biodiversity strategy for the period 2021-2030. But, indications are such discussions are yet to begin seriously. Similar approaches will be needed to deal with themes such as plastics, waste management and others. The current draft pact, prepared by the project on Pact for Global Environment, is too generic and does not cover all the needed aspects to truly make the pact significant, over-arching and impactful. Generic references to principles and approaches will only make the negotiations more protracted. One key missing element in the current focus is that of governance. The draft needs to be reviewed and if needed re-done once the Working Group meets. The institutional and governance mechanisms established to deal with individual conventions and agreements already under force need to be consulted with more formal engagement to make decisions at the level of their governing bodies. With differing timelines to meet and make decisions, different approaches to decision making, different stakeholder groups being part of the decision making, compliance and implementation mechanisms and finances available implement the mandate, the discussions to develop the global pact should decide on whether it pact will be a mere over-arching statement of purpose to deal with environment in a wholistic manner or whether it must be a binding pact. If the intent is the later, then the pact is set for much longer negotiations that is set with challenges of considering the outcomes of each of these governing body decisions. The idea to have a global pact on environment is a welcome one. However, it cannot be rushed nor be considered to have the minimum common denominator to act on issues related to environment as a key aspect of sustainable development. It must be well thought of, discussed and curated with its intended implementation and impact aspects than merely being pushed to fulfill the ambition of having a pact for the sake of feeling good about consolidating actions, in the light of a few success and failures of environmental jurisprudence.